Hey everyone, it’s Tell a Fairytale Day! Since I don’t plan on telling you all a tale, I thought I could list a few of the fairytale retellings that I hope to read soon. Deathless (Leningrad Diptych, #1) by Catherynne M. Valente – I’m intensely attracted to the covers of these books. I really like this author’s books because she always does a great job of integrating history and fantasy into a beautifully written story. The Tale: Koschei the Deathless is to Russian folklore what devils or wicked witches are to European culture: a menacing, evil figure; the villain of countless stories which have been passed on through story and text for generations. 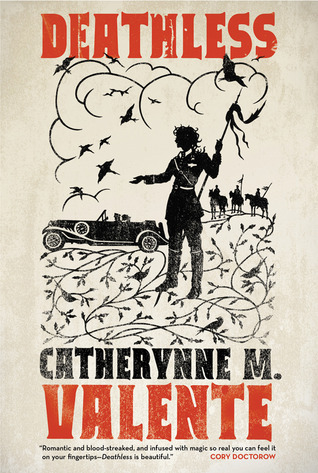 But Koschei has never before been seen through the eyes of Catherynne Valente, whose modernized and transformed take on the legend brings the action to modern times, spanning many of the great developments of Russian history in the twentieth century. 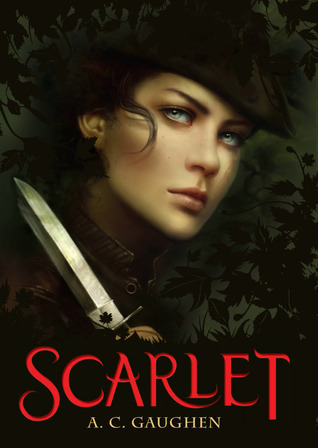 Scarlet (Scarlet, #1) by A.C. Gaughen – I love these gender-swap retellings because side characters will often get a new back story that is far more complicated and fleshed out. This is actually a series, so when I finally get a chance to read this book, and if I enjoy it, there are still 2 more to read after! The Tale: Will Scarlet is good at two things: stealing from the rich and keeping secrets – skills that are in high demand in Robin Hood’s band of thieves, who protect the people of Nottingham from the evil sheriff. Scarlet’s biggest secret of all is one only Robin and his men know…that she is posing as a thief; that the slip of a boy who is fast with sharp knives is really a girl. 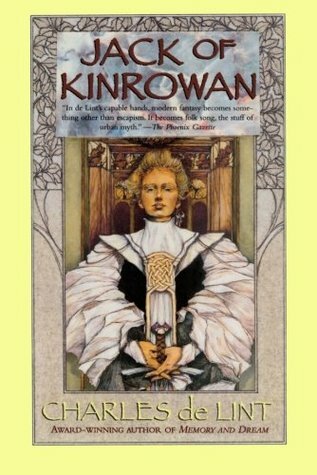 Jack of Kinrowan by Charles de Lint – I’m a huge fan of Charles de Lint’s books, but for some reason I haven’t had a chance to read this one yet. His urban fantasy is a benchmark for me in the genre. He writes so beautifully and has such a unique way of integrating magic into present day that I can’t wait to read this at some point. The Tale: A faceless gang of bikers on Wild Hunt through the streets of present-day Ottawa hurtles young Jacky Rowan across the threshold into the perilous land of Faerie. There, to her dismay, she is hailed as the Jack of Kinrowan, a once-and-future trickster hero whose lot is to save the Elven Courts from unimaginable evil. 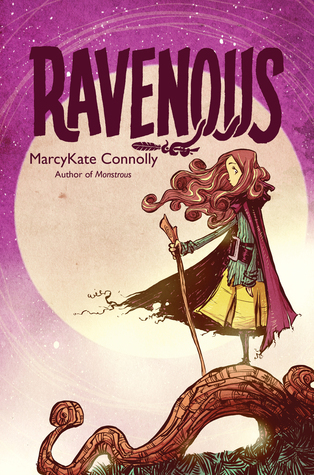 Ravenous by MarcyKate Connolly – This book and the first book in this series popped up in my store the other day and the covers immediately caught my interest. I can’t wait to get my hands on a copy of this. I might just read it during my break next time I work. The Tale: A witch has come to the city of Bryre. She travels in a hut that has chicken feet, and is ravenous for children. And once she gets what she desires, she never lets it go. 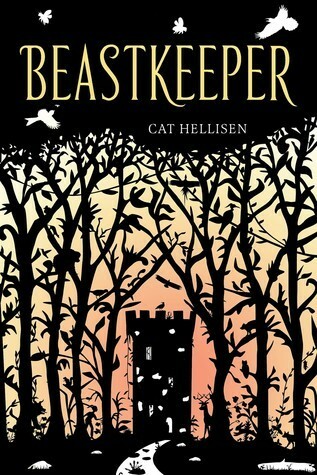 Beastkeeper by Cat Hellisen – This gender-swapped Beauty and the Beast retelling sounds incredibly interesting. Again, it’s a modern day setting, so I’m very curious to find out how the author is able to connect the magical world with the mundane. The Tale: Deep in the forest, in a crumbling ruin of a castle, Sarah begins to untangle the layers of curses affecting her family bloodlines, until she discovers that the curse has carried over to her, too. The day she falls in love for the first time, Sarah will transform into a beast . . . unless she can figure out a way to break the curse forever. Do you like 5 Books Friday? If you want to participate, here’s a list of the upcoming topics that I’ll be writing about! Leave a link to your post in the comments, and if enough people join I can make this a real linkup! Deathless is SOSOSO good! Fingers crossed you enjoy it as much as I did. I will warn you, though–it’s pretty dark in subject matter! Glad to hear it! I have been wanting to read it for a while, but always forget as soon as it’s out of sight. Haha, I so understand–I do that too!